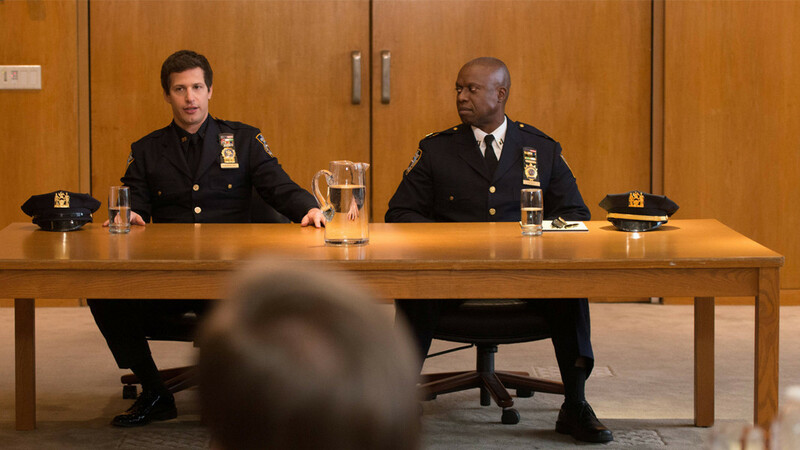 Over the course of its first season, Brooklyn Nine-Nine has improved in virtually every way. It has become funnier, more heartfelt, and developed its characters more fully. But perhaps its most vital achievement is something that is somewhat tied to all of those elements but is more intangible and harder to evaluate. What makes a great sitcom great, I think, is the way it creates a world you want to spend time with and characters you can think of as friends. Again, the laughter, the heart, and the depth of the show are all part of this, but it exists independently of them as well. 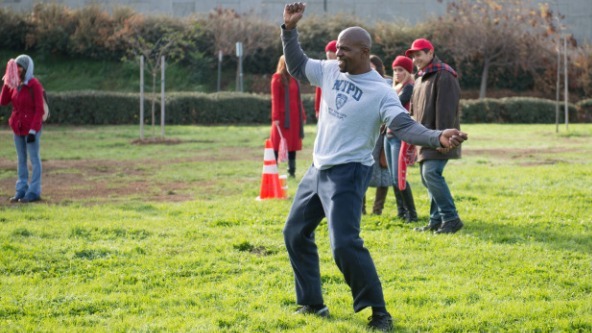 And at this point in the season, the precinct on Brooklyn Nine-Nine is a place I want to spend time, and these are people I want to hang out with. “Fancy Brudgom” spends much of its time as a story about the heart-warming friendship between Boyle and Peralta, and the various ways Peralta rises to the occasion when he is asked to be Boyle’s best man. 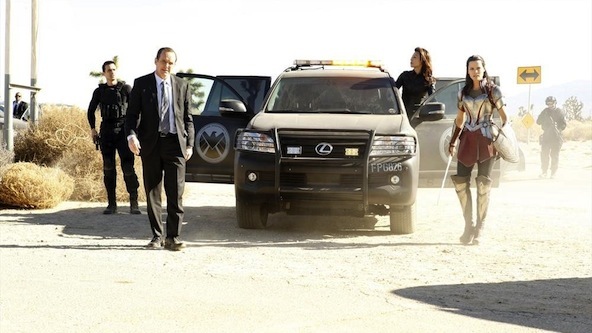 At first, he thinks that means thoughtless support and acquiescence to everything Boyle wants, but he quickly realizes that there are some things he should challenge Boyle on, like the fact that Boyle plans to retire from the force and move to suburban Ottawa with Vivian. 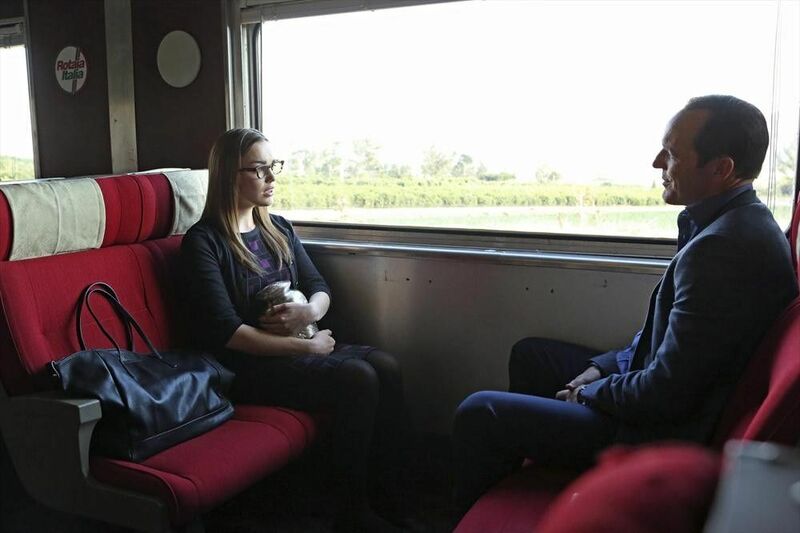 This episode shows cracks forming in Boyle’s relationship with Vivian, the first hints we have had that things won’t work out between these two (except our knowledge of how sitcoms work). The show smartly doesn’t shuffle Vivian off immediately, though, like too many sitcoms before it have done with their ancillary love interests. Vivian is being given an arc, and when her relationship with Charles finally folds, it will feel far more earned as a result. The diet subplot is pretty thin (I would like my award in gold, please), and mostly builds up to an extended fart gag, which is not my favorite type of humor, but along the way we get to see Gina eat a mac and cheese/chili/pizza sandwich and Santiago tear Hitchcock apart for stepping on her almond with his butter feet. This subplot was my least favorite in “Fancy Brudgom,” but it was also the one that made me realize how completely this show has won me over. Even when it is doing flatulence jokes, it is a place I want to hang out for a while, and that’s saying something. Then there is the Holt and Diaz story, which smartly plays the most stoic members of the ensemble off each other, including in an incredibly long exchange where they trade slightly modulated versions of “I’m sorry” until Holt is inexplicably satisfied. 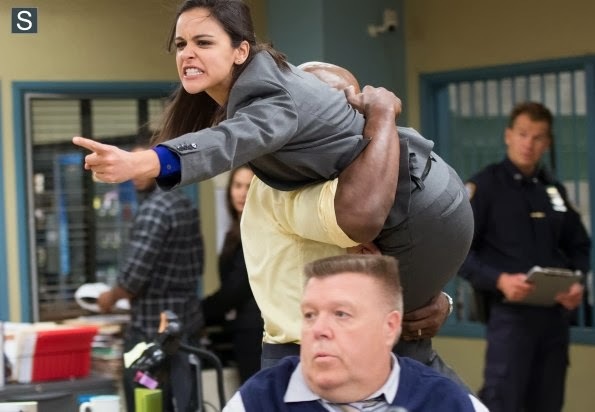 It also involves Diaz learning a lesson about how to be a leader, which is pretty sweet really, but let’s be honest here: the look on Andre Braugher’s face as he burnt that whole legal bad in horror was worth the price of admission here. 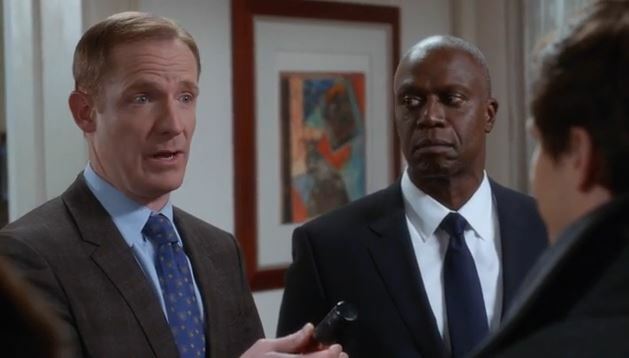 “Fancy Brudgom” is funny, including two of my favorite cut away gags the show has ever done (Braugher’s burning and Hitchcock declaring Scully dead). 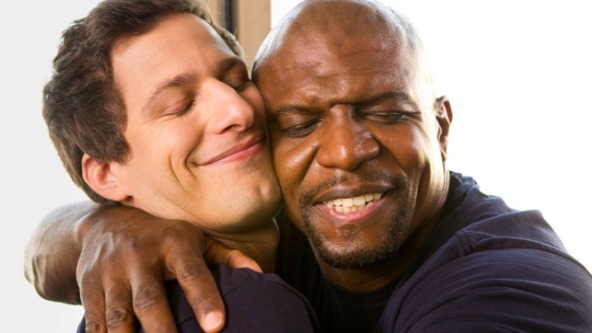 It is heartfelt, showing how much Boyle and Peralta care about each other, how much Santiago, Terry, and Gina have become a team, and the strength of the bond between Diaz and Holt. It trades on much of what we have learned about these characters so far. But mostly, it is just an episode of a sitcom that increasingly pulls me into its world and demands that I treat its characters as friends I get to hang out with once a week. And that is a sign of greatness.